The Formula 1 Schedule 2019 has been announced by FIA (Federation International de l'Automobile) for 2019 F1 season. It will be the 70th season of Formula One World Championship, it happens every year on different locations of the world. F1 championship covers almost all the continents of the world. Formula 1 has fans all over of the world because of its flexible nature as it happens in every major City of different countries. The event will start from 17 March 2019 at the Melbourne Circuit in Australian GP. F1 will have 21 races like every year from March to December 2019, the first time in December because of Summer Break. The break will be from August 4 to September 1, one week longer comparatively from last season. 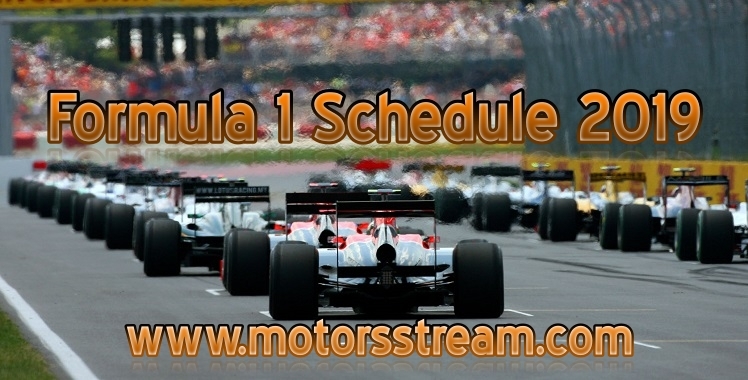 The car launching dates in Formula 1 Schedule 2019 is in February in the UK, Canada before the main event starts. Few of the Pre-Season Testing is scheduled in late February 2019 and March 1st in Spain. Start of the event will remain traditional as the curtain raiser is in Albert Park, Australia. The end of the Formula One World Championship season 2019 due to summer break is extended to December in Abu Dhabi GP. The FIA has officially confirmed Formula 1 Schedule 2019 in their recently happened meeting. Lewis Hamilton will defend the title as he is the winner for two consecutive seasons of F1 championship. The famous former champion Fernando Alonso has taken one year gap from the sports. He won’t be available for F1 season 2019 and also his home track Circuit de Barcelona on May 12. Since 2001, this will be the first time when his presence will not make crowd cheers. The fans will definitely miss him in the season especially its home people.